The services and explaination of what we offer in classes and world of martial arts. A brief history of the A.T.K.D.A and the instructor. Is the founder of the Absolute Taekwon-do Association based in Sutton Coldfield, Birmingham, West midlands. He also Founded the ITC (International Taekwon-do Council) which is growing for the benefit of all Martial arts. After over 37 years in Martial arts, his 27+ years dedication to TKD and 20 Years passion to teach ensures concise effective teaching methods and you can be confident that what you learn will be effective for the improvement in your own physical wellbeing but also the dramatically improved safety of self. Mr McNally started Martial arts in 1980 officially when aged 9 years old, within the world of Karate starting with Shotokan and then Wado Ryu. Then after achieving first degree in both styles after many hard nervous gradings at the temple in Birmingham City centre, he decided to try something new, so after trying a couple of other arts ultimately began Chang hon TKD in 1989 in Kingstanding, then had a break of 1 year in 1992 due to life’s interventions. Returning to Martial, he restarted at beginner grade at a Taekwon-do school in Sutton Coldfield where after going through the syllabus gained his 1st degree in 1998. While been assisting the instructor since green belt in manners were suitable to his rank, while attending and training in all classes available to him (3 times a night and three times a week), then upon attaining another degree grade, also while still assisting the instructor all the more in his classes, 3-4 times a week also taking the class when the instructor was unavailable due to operations or holidays, in less than 6 months John McNally opened his first school in Barnet North of London. Then a year later and just down the road from Barnet, opened another school in Borehamwood then 2 years later opened another in Coleshill in Birmingham West Midlands. After a disagreement with the way in which the path was going for the association he was with and their aims, it was decided that it was time they parted ways. Mr McNally will not just teach you a few fancy moves and let you believe this is effective, he will teach you skills that when practiced with committed enthusiasm, will be effective, while learning many other self-defence and self-development attributes. In regards Master McNallys grading history, then one must admit he did not stick to grading at the earliest times possible as he concentrated more on teaching his students and helping others. Master Kwang Duk Chung who gave me my 5th degree due to time served and assistance offered to others and also due to the actual committed time to training and more. However i respectfully declined this due to not performing on the floor, so he requested that i should present under My Grandmaster Paul Liversidge and this i did for all gradings. Now as of Septemberr 2017 and with 28 years of TKD history behind him, He looks forward to the future in working with all the families of the arts and sharing time and knowledge with each other. Under the polite insistence of the family Grand Master Paul Liversidge who in January 2016 has also celebrated over 50 years in Taekwon-Do whilst also been a true military man. Also with the voice of support from many senior masters that know me and also have seen what i have been aiming to do as a benefit for all Martial way practitioners my 6th Degree was gained on the 25th October 2015. Due to the way in which Taekwon-do and many arts have become segregated for one reason or another. Master McNally created and founded the International Taekwon-do Council in September 2010. Commonly known as the ITC. The ITC want you to keep your own identity, they do not wish to control any one even if possible and will not let another group or school stop another group or school from joining the ITC or working with them as the politics and ego's etc of one school or the other will start and stop with said schools. race, colour, badge, style or art. The future of the ITC is to help all practitioners worldwide, to work towards a peaceful world with positivity and unity of many different branches of the tree working together as one, because seeds get laid and take on their own paths and colours. 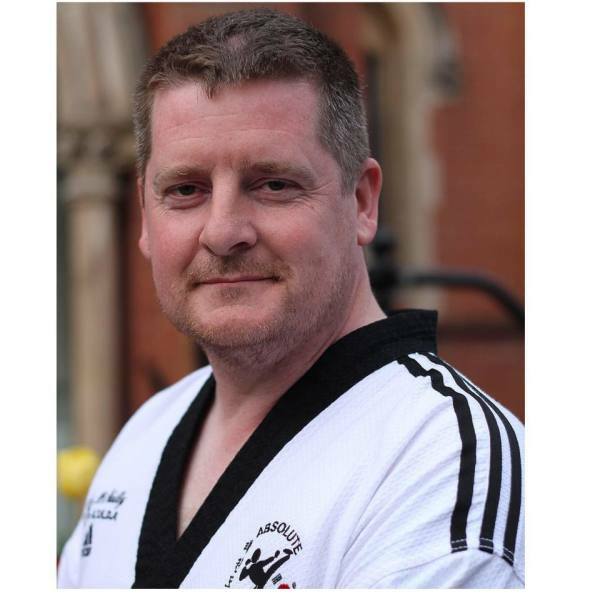 At 2017 the Instructor Master John McNally has over 36 years in Martial and 28 in TKD. A 6th Dan Master although he does not like been called Master. Fully Certified Instructor, Examiner, Umpire, World referee, First aider. We offer one to one or private group tutoring. School visits and term classes. Mr McNally teaches because he loves to and the passion is obvious, so if you take that step and actually walk in a door to make a change in your life for the better then Mr McNallys Dojang door is open and there for you. The International Taekwondo Council was an idea created by Mr McNally and brought to reality in the begining in 2010. The idea is to create a council for guidence to all free from obligations and over bearing ego etc. To benefit students, instructors and all groups alike. The ITC has over 15 coutries involved and over 4000 Member instructors and groups. With an positive affect on an incalculable number of individual students. The ITC helps to guide and assist all and with the help of executives such as.